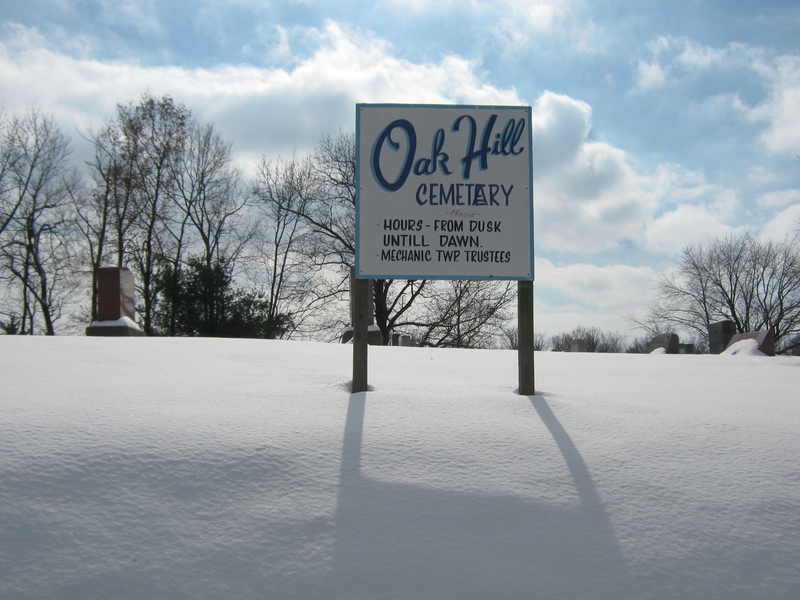 A patron asked us for directions to Oak Hill Cemetery in Mechanic Township. There are several Oak Hill Cemeteries in the county, and I directed him to the one here in Millersburg without looking at the one he wanted. 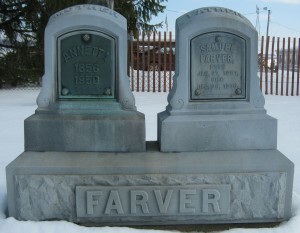 After I sent him the corrected directions, I became curious about this cemetery. 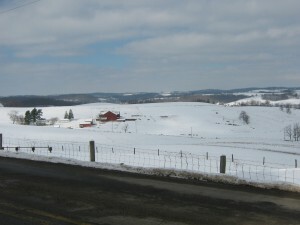 So, on this sunny, winter day, I stopped at New Horizons Naturals; purchased Wild Garden Hummus Dip, Beanitos Chips, and Zevia; turned on Here and Now on WKSU and drove south on SR 83 toward Clark. Travel 83 until you get to CR 19. This is right before you get to Clark. If you see Clark Elementary, you have gone too far. 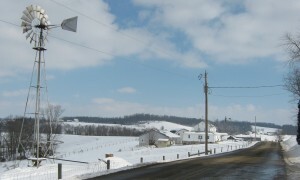 Go east on CR 19 and drive about 1.8 miles to CR 59 (the signs are small, so go slowly). Go east on 59 about 1.5 miles, and you will see the cemetery on the right. 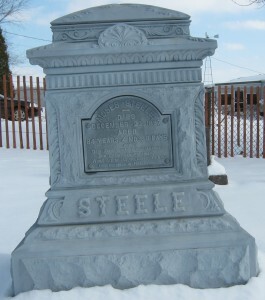 It is located next to a house trailer. The drive is slightly difficult to maneuver, so be careful when pulling in and out. 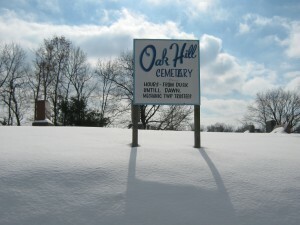 I found out that it is not the best place to visit in the winter! I found Rev. 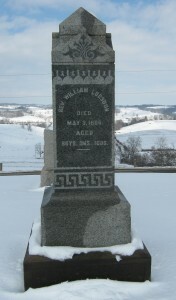 William Logsdon’s grave. We have his journal uploaded to our website. There were some beautiful zinc stones there. It was a beautiful day with beautiful views. 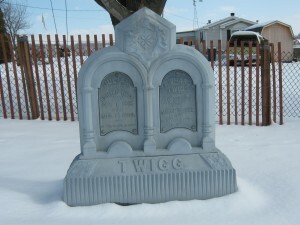 This entry was posted in Lunch and a Cemetery, Mechanic Township and tagged cemeteries, cemetery, Holmes County, Holmes County District Public Library, Mechanic Township, Oak Hill Cemetery, Ohio Amish Country. Bookmark the permalink. I am a decendent of the Logstons in Millersburg, Oh. 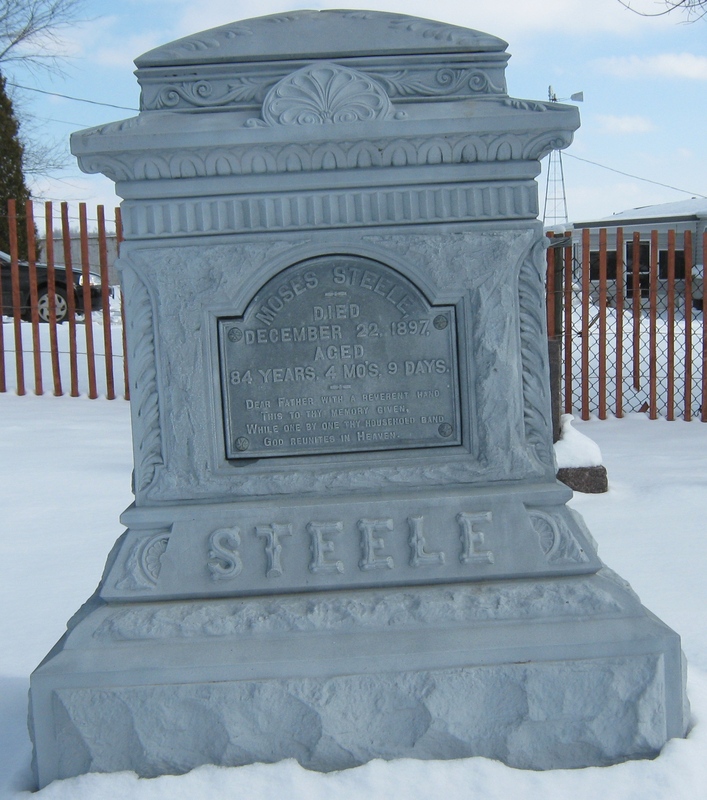 Would love to talk to you about the cemeteries you have visited. 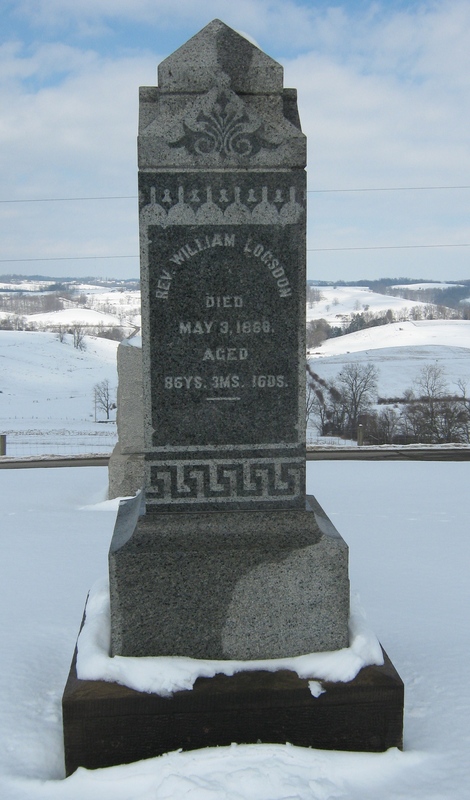 Did you find the Logston cemetery. I am going to try and find it in the next couple of weeks. 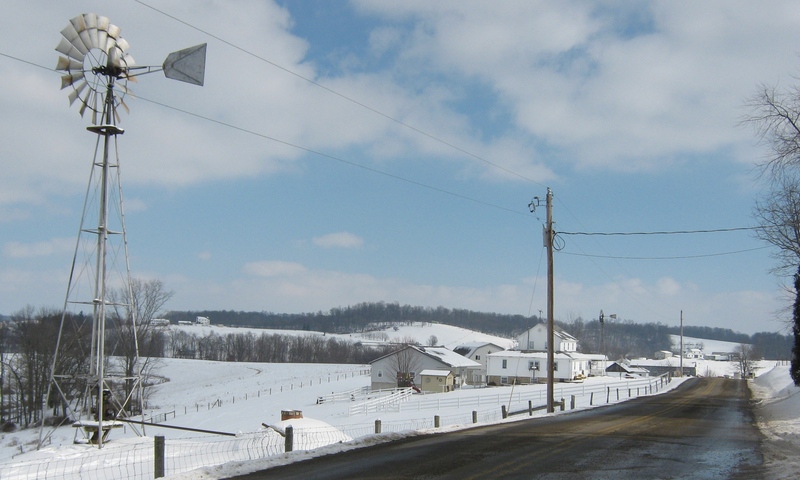 I live in Canton, OH, but will be going back down to Millersburg soon. Thanks Nancy. 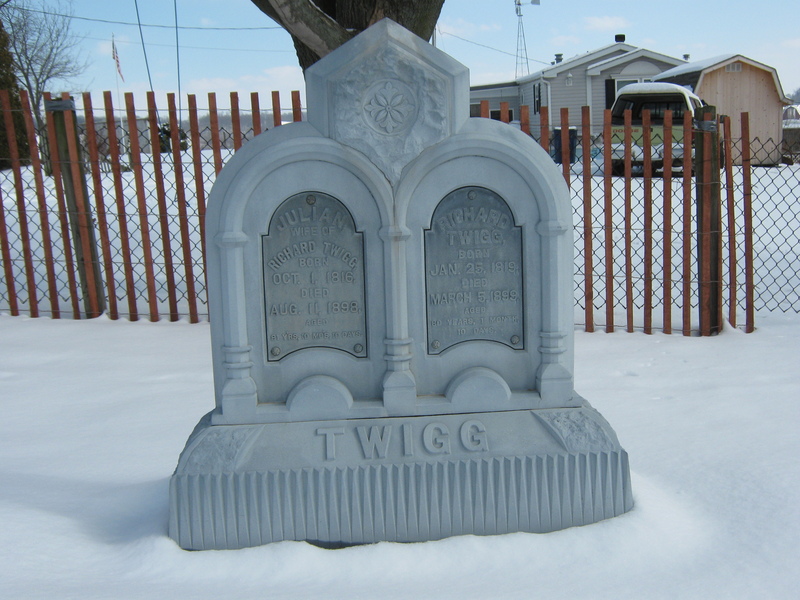 I tried to find the Logsdon Cemetery in the winter. The weather was really bad, and I had to turn back. :/ I’ll try again this summer.